From many a weekend spent enjoying homemade soya chai at my yoga teacher training school, Yoga Satsanga Ashram in West Wales, I have developed a love for tea infused with Indian spices. I’m also trying to reduce the amount of caffeine I have and so was delighted to try two varieties of loose Redbush Tea from organic suppliers, Steenbergs. After enjoying several pots of warm and fragrant Redbush Chai and Vanilla Redbush, I thought it would be a grand idea to try to transfer the flavours into some soft and delicate cupcakes; and so here they are. The little bundles were dusted off with some milled cocoa nibs, cinnamon and icing sugar. The recipe follows the pictures. 1. Preheat oven to 180C or 160C with a fan assisted oven. 3. Heat your almond milk in a small saucepan until nearly boiling. Stir in the loose tea, over and remove from the heat. Let it rest for 10 mins. 4. The pour the tea mixture into a jug through a tea strainer, to collect the loose tea. 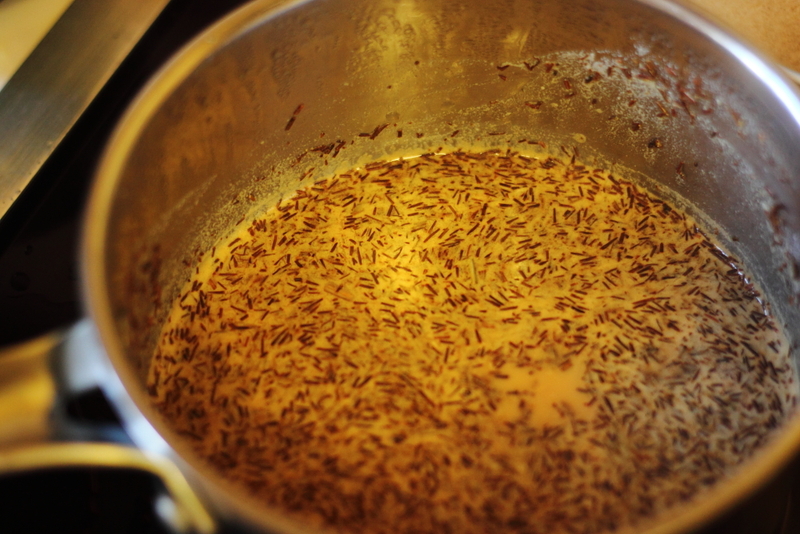 If you are left with any less than 1 and a half cups of tea mixture, add a bit more milk (this is about 12.5 fl oz). 5. Whisk the oil, yoghurt, sugar and vanilla into the tea mixture until smooth. 6. Now sift in the flour, raising agents and salt, mixing with a wooden spoon until all the large lumps are gone. 7. Use a tablespoon to fill the cupcake liners to the top and then bake for around 22-25 mins. They are cooked when a skewer inserted in one comes out clean. 8. Allow to cool completely while you prepare the topping. 9. Mill the cocoa nibs (I used my Nutribullet) or similar grinder (or use cocoa powder). 10. 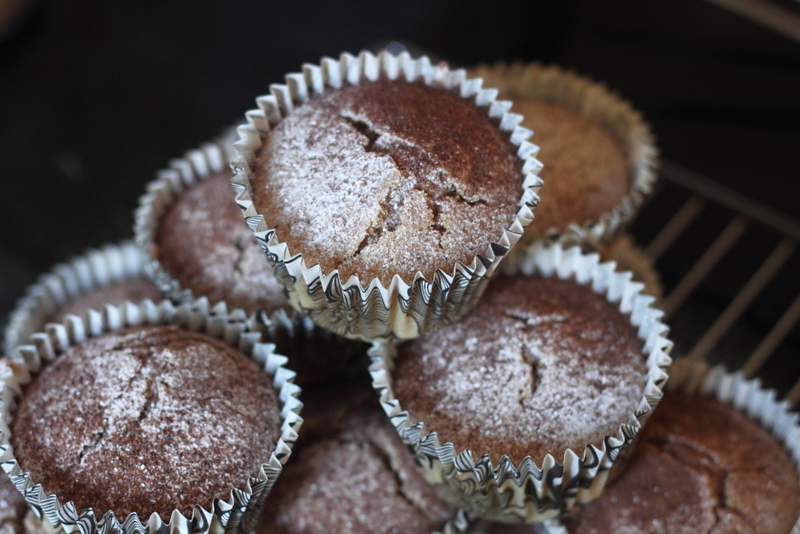 Combine the icing sugar, cocoa, cinnamon and nutmeg in a small bowl, then shift over the top of the cupcakes. 11. 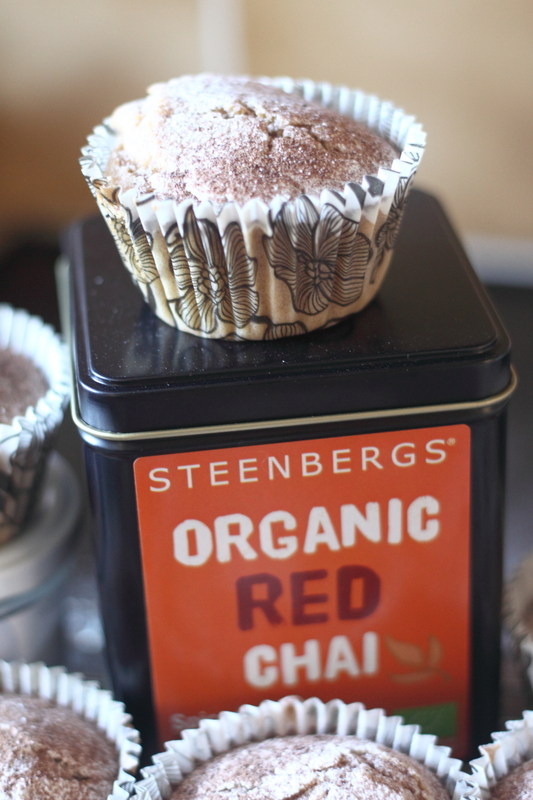 Enjoy with a matching cup of Redbush Chai Tea! *You could use ordinary Redbush tea, then add 2 tbsp cinnamon, 1 tsp ground cardamom, 1/2 tsp ground ginger and 1/4 tsp ground cloves. In my quest to improve my cake icing skills – this afternoon I baked two big chocolate cakes and piped them with chocolate butter icing. The occasion is a very special 70th birthday party tomorrow – where most of the guests will be sampling a vegan cake for the first time. The cakes weren’t masterpieces in terms of presentation, but the sponge is rich, moist and chocolaty. I have my fingers crossed that the party guests will enjoy the cakes very much. Happy Birthday to Jean, my future mother-in-law. 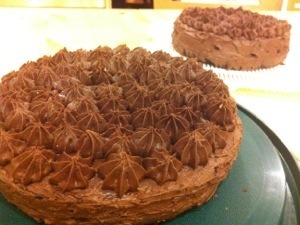 I can’t take credit for the recipe, it is taken from vegan recipe book 1066 Cake Stand’s Compendium of Cakes. 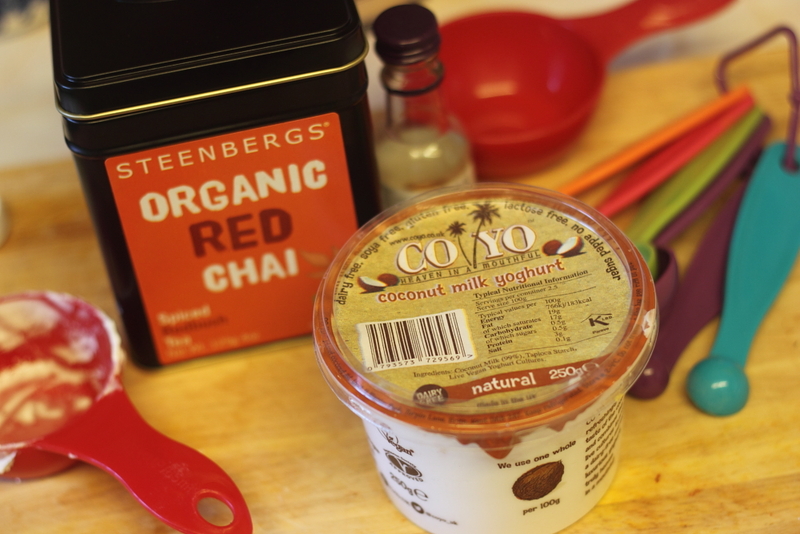 The only change I made to the recipe was using soya milk instead of water. The icing is half vegan marg, half vegetable fat, mixed with cocoa and icing sugar.